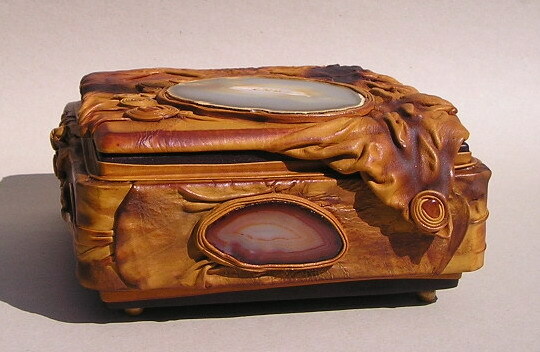 Box with agate “Waterfal”». Size: 25х25х12cm. Steamed leather, leather plastic, inserts — agate cuts.